8 chapters. 224 pages. 2,000+ images. GOALS: Hospitals, shelters, jails, and schools. 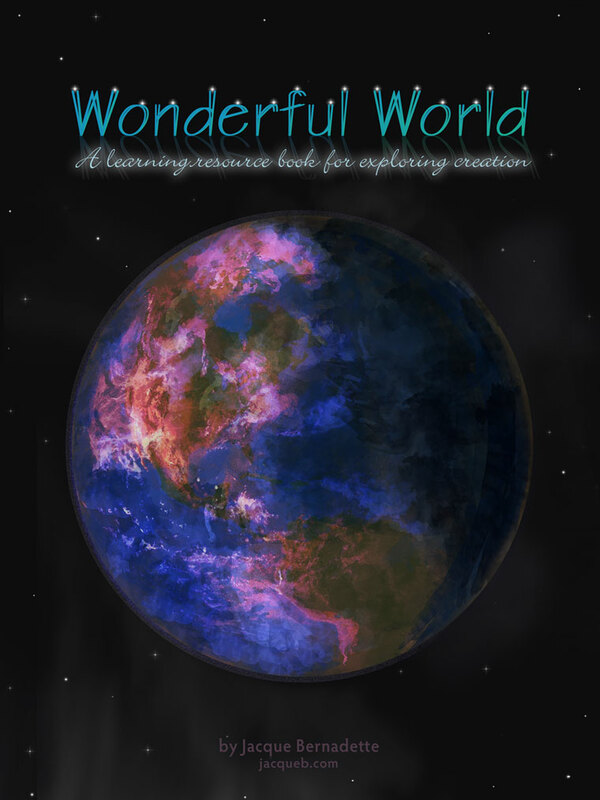 The "Wonderful World" book is a learning resource for exploring creation. There are 8 chapters and 224 pages. This book and the "Wonderful World" Collection were made to highlight the artistry of creation with its beauty, complexity, design, order, and symmetry. The splendor of this world with its detail, variety, and sheer volume of subject matter displays the Glory of God. ​This book is illustrated and non-fiction; a picture book with facts and good for most ages. The images inside the book are not paintings because I would never get done—there's a lot of images!—and the end goal is about the diversity of creation and how it points to a Creator. And through God's son, Jesus, we can have eternal life (John 6:40, John 14:6). I hope this book and collection will leave you in awe of Romans 1:20 and lead you to the One who is more beautiful and powerful than anything in the world. I welcome and appreciate your ongoing prayers for focus, direction, and health to complete this book. Thank you so much! No time for the whole movie?